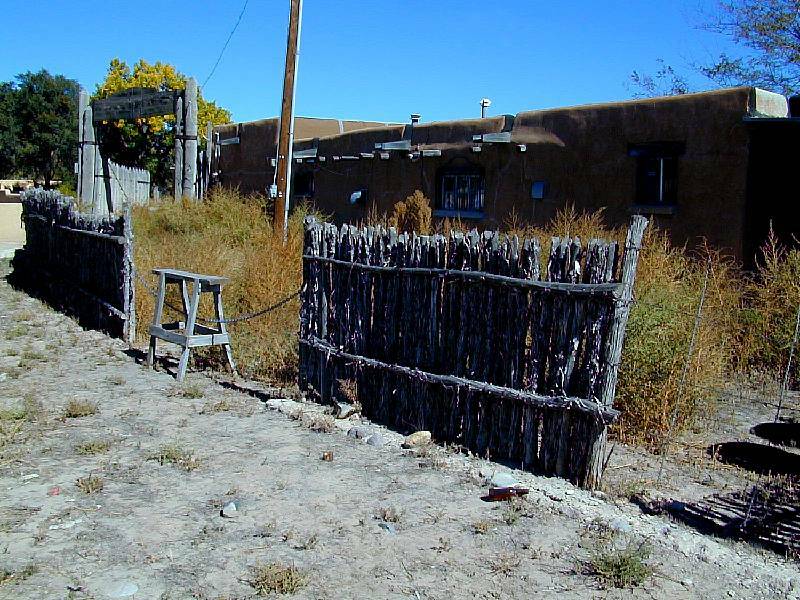 An adobe home on the San Ildefonso Pueblo in North Central New Mexico. The fence in front is called a "coyote fence", and is specially constructed of pinon pine branches which are distasteful to coyotes. 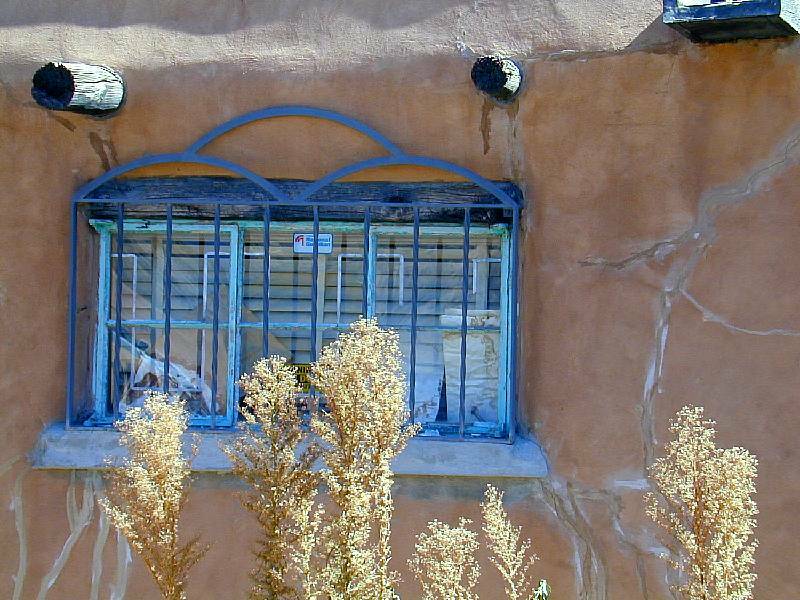 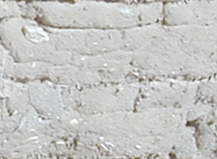 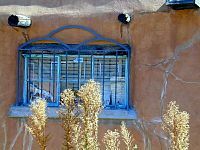 Detail of the window of an adobe home on the San Ildefonso Pueblo in North Central New Mexico. 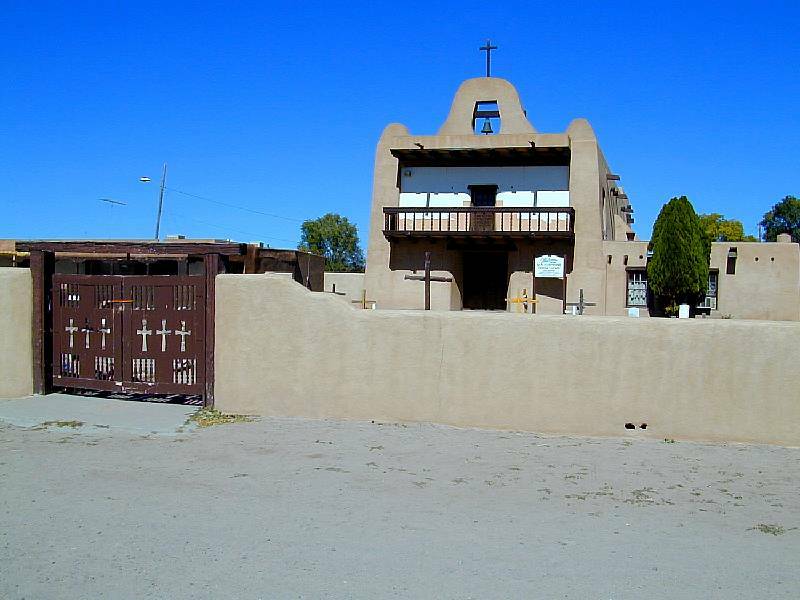 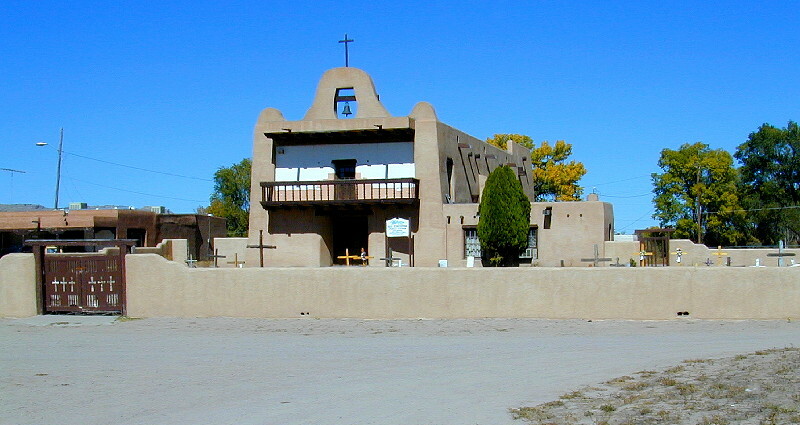 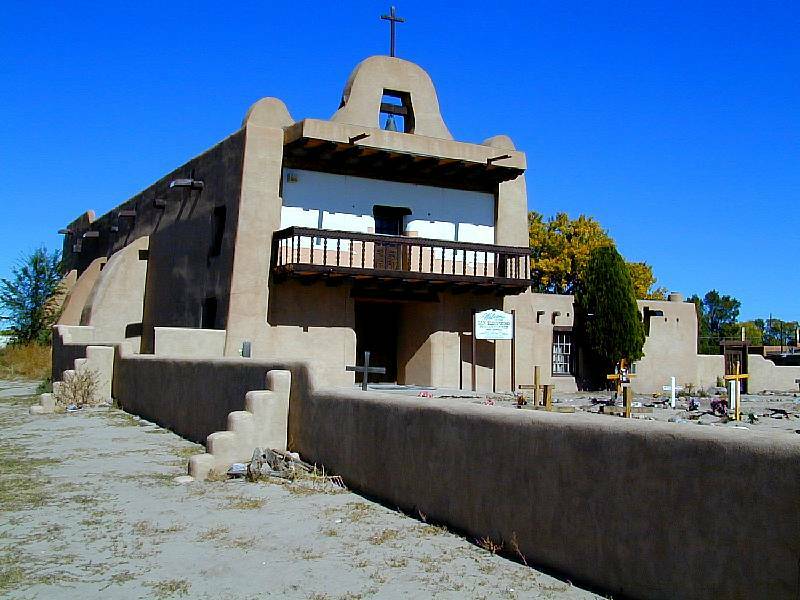 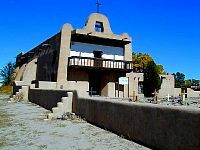 The church of San Ildefonso on the San Ildefonso Pueblo in North Central New Mexico.